The relationship between father and son became so even closer, The father followed rate between the various Italian courts (Urbino until 1559, then in Venice, in Padua 1561-1562, in Bologna 1562-1564, in Mantua and then in Ferrara). Torquato Tasso made a wandering life but they lacked education and culture. His father did in fact attend lectures in law, philosophy and eloquence all ’ the University of Padua, and finally the literature in Bologna (also introduced him amongst the literati of various courts). In 1559 began writing of the epic Gierusalemme, while in 1562 Venice public romance Rinaldo (printed in Venice in 1562). In 1565 He entered the service of Cardinal Louis d ’ Este in Ferrara (in 1569 their father died) and began to attend the Court of Alfonso II, who hired him, in 1572, as a courtier salaried. In 1573 ran the favola pastorale Aminta, that was a great success. In 1575 He finished the epic poem Godfrey, who defended closely by critics and at the same time decided to subject it to theologians and writers since they have adherence to Catholic dogmas and Aristotelian rules. From 1575 at 1577 He had a number of behaviors inconsistent and contradictory: first ’ autodenunciò the Court of the Inquisition and was acquitted, also one day, believing herself spied a servant and was imprisoned by the Duke attacked Alfonso, before the castle of Ferrara, then in the convent of San Francesco, to be cured of his melancholic humor, ’ ’ period considered all of insanity l Hall. In 1577 fled from Ferrara and traveled from his sister Cornelia in Sorrento, then he reached Mantova, Urbino, Tourin. 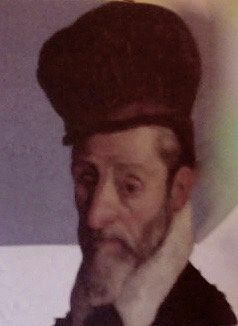 In 1579 He returned to Ferrara during the wedding of Duke Alfonso with Margherita Gonzaga, but he was imprisoned in ’ medication and hospital of Sant Anna ’ as “furious”. Among the 1580 and the 1586 writes Dialogues, works in defence of Godfrey and in 1581 It is published in Ferrara the Jerusalem Delivered. In 1586 He was freed from the Duke of Gonzaga who welcomed him to Mantua, where Rate ended the tragedy King Torrismondo. Among the 1586 and the 1591 you are a victim of strong insecurity and anxiety. He left Mantua to go to Macerata and then in Rome. In Naples in 1588 was a guest of the Olivetan monks where he composed the poem Mount Olivet. He later returned to Rome where he composed the Rogo amoroso. In 1591, After traveling to Florence and Rome, he returned to Mantua where he published the first part of Rhymes. Among the 1592 and the 1595 He lived in Naples, where he wrote The seven days in the world created and printed the Speeches of the heroic poem, and Rome, where published, in 1593, the Jerusalem conquered. Badger died on 25 April 1595 in Rome.